I’ve had the joy of motherhood, grandchildren, deepening friendships and a twilight romance. I’ve also experienced a failed marriage and the consequential breakup of family. I was expected to get married soon after graduating from college. The morning of my wedding, I knew I wasn’t ready to marry but I was too scared to halt the process. I took the “easy” way out which proved not to be so “easy” in the long run. I dove into photography, commercial and fine art, with occasional trips abroad. Along the way, I met an American woman whom I would see again years later in California. She introduced me to her widowed father Igor, arranged and chaperoned our first date, a walk on the beach. I was nervous about meeting him. What would he look like? Would he be interesting or a stiff old fart? I watched him carefully to see signs of senility, if he had difficulty getting up from sitting on the beach. He was watching me, too, as it turned out. We obviously liked what we each saw … after a year of courting, he asked me to move in with him. That was twelve years ago; I was 63, he 74. 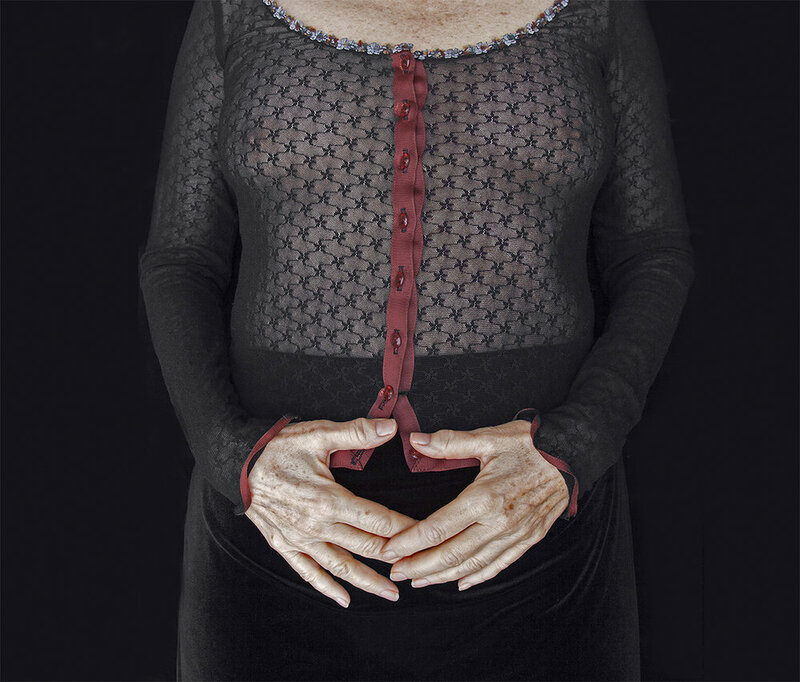 I started this aging exploration with photographing my body. I have been obsessed since my teen years with staying thin, fueled by mild dysmorphia, which for me has been a preoccupation with the erroneous notion that I am fat. The original impulse for photographing my body came from this obsession. I’ve come to realize that this mistaken belief will always be with me; my task is to ignore the mind chatter it creates. I expanded this series of self-portraits to include pictures of my daily life, my partner Igor, my fears and fantasies. I looked for new meaning by combining these recent images with photographs from my past. Marna Clarke lives and works in Inverness, California. To view more of Marna's work, please visit her website.